We need Sangria recipes for National Sangria Day, right? Because there's nothing quite like a good wine punch loaded up with lots of fruit. 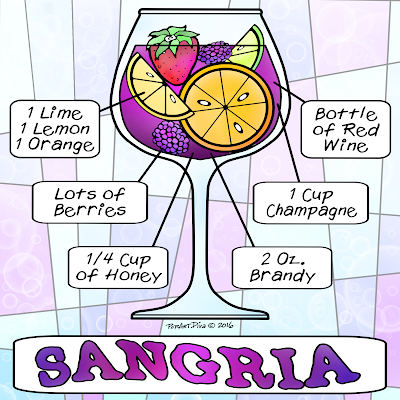 Sangria is named after "Sangre", the Spanish word for "blood" because of it's typically dark-red color. Traditional sangria is made with red wines but there's no hard and fast rule today in making your sangria and you can use wines of all types and colors. A white wine sangria is called a "sangria blanca". The most popular fruits used in Spain and Portugal are mainly citrus though sangria recipes vary as much as dialects and can be made from all types of fruits and wine combinations. 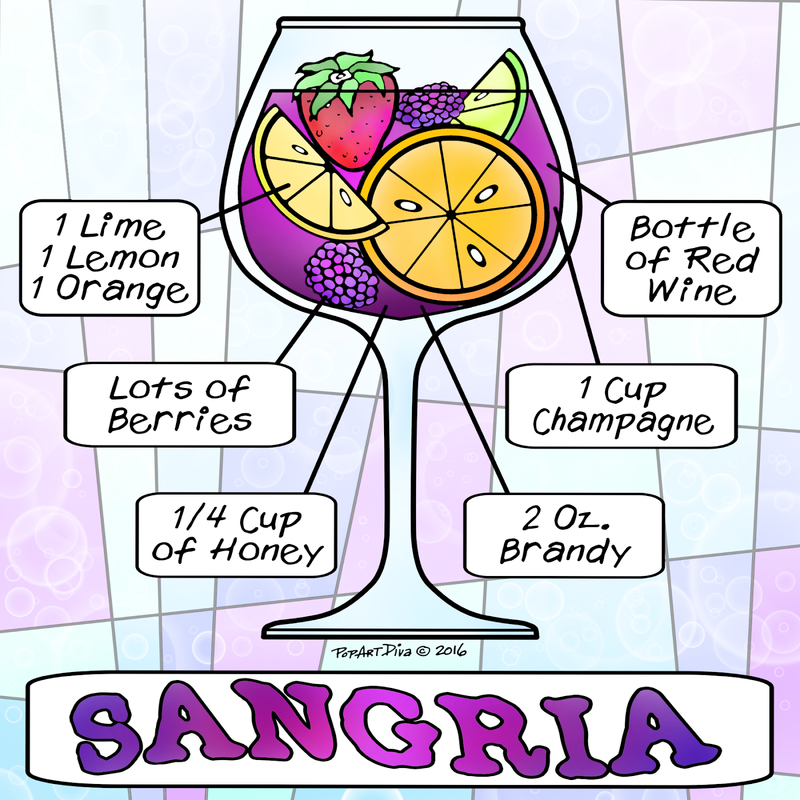 In addition to the fruits, sangria recipes typically include a sweetener, such as honey, sugar or simple syrups, and another alcohol including brandies, sparkling wines or even liqueurs. If you want to keep the proof down you can fizz up your sangria with a soda of some type instead of another alcohol. Spices can also be added, though it's not as common, and your summer sangria recipe can be easily converted to a heated, spiced mulled wine recipe for the holidays! Mix up a Pitcher (in one of my adorable Pop Art Pitchers or Cocktail Art Pitchers). 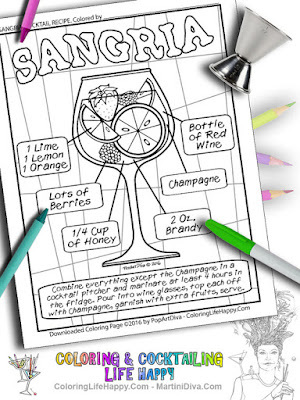 National Sangria Day is December 20th.